Is the Orthodox Church is closer to the Roman Catholic Church than to the Protestant churches? Would you say that the Orthodox Church is closer to the Roman Catholic Church than to the Protestant churches? What is the OCA’s view of stigmata or other modern manifestations of Jesus or Mary? I would appreciate both a theological answer, and official Church position, if there is one. The Roman Catholic Pope recently proclaimed “indulgences” as a means to hasten entry into heaven (at least according to what I read in the popular press). I was wondering if you could please help me with a question. What is the Orthodox belief regarding the “Sacrifice of the Mass?” Is it the same as Roman Catholicism or different? Could you please explain the similarities and differences? Thank you. Do the Orthodox pray the rosary and use rosary beads? 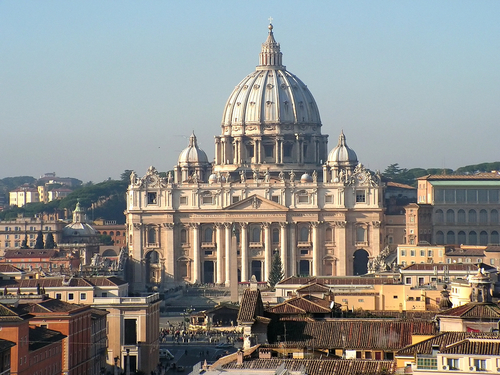 What is the current view of the OCA on the validity of Roman Catholic orders? Does the Church believe that the body and blood of Christ are in the Roman Catholic Eucharist as it is in the Orthodox Eucharist? I am curious about the western rite within Orthodoxy and the position of the OCA in regards to it. Are the western rite parishes in full “communion” with other Orthodox and are they able to concelebrate, etc? Is the Orthodox Church anti-Catholic? I was wondering. Very often we hear of the influences of Roman Catholicism on the Orthodox. The question I would like to ask is, What effects has Orthodoxy had on the Roman Catholic Church in the 20th century? Is it correct to use the word “catholic” when we say “we believe in one holy, catholic, and apostolic church”? Fr. John Matusiak answers questions about Orthodox Christianity and the Orthodox Church in America. If you have a specific question on the Orthodox Faith, we'll be happy to answer it!